On December 3, Family & Consumer Sciences Day is being celebrated with a “Dine In” theme. Since 2014, more than 300,000 people have publicly committed to dining in on the annual Family & Consumer Sciences Day http://www.aafcs.org/fcsday/home). This day also celebrates the birthday of Ellen Swallow Richards, the founder of what is now the American Association of Family and Consumer Sciences (AAFCS), formerly called the American Home Economics Association. The website above lists over 30 different valued sponsors or partners in this initiative. The promotion is an international event. People are being encouraged to make a commitment to preparing and eating healthy meals with their family or others in their community. This is a fitting tribute to Ellen Richards, as she so believed in people working together and valuing family and community. You might consider this a good day to get some home prepared and preserved foods out of your freezer or pantry and share them together in a setting of community eating, whether with our own family or a group you invite to eat home prepared foods together. Maybe your community garden groups would like to share a meal of local foods and talk about community and health! You can read a little more about Ellen Swallow Richards here, http://connect.aafcs.org/about/about-us, as well as in many other sources. Ellen Richards, a chemist, was the first female graduate and professor at the Massachusetts Institute of Technology. Smith College conferred an honorary degree of Doctor of Science on her. She was an activist for nutrition, foods education, child protection, public health, women’s rights, and the application of scientific principles to everyday living for the family. Her activism, vision and professional experiences led to formalization of the home economics profession and founding of the American Home Economics Association. Here is one short biography: https://libraries.mit.edu/archives/exhibits/esr/esr-biography.html. I have done a lot of archival research and reading myself about Ellen Richards’ life and professional contributions, especially regarding public health and safe food and water. It is nothing but inspiring, especially when you read a lot of her correspondence with other foods and nutrition professional leaders in the late 1800s. This entry was posted in Food Quality, Seasonal Food Tips and tagged Holidays, serving foods on November 21, 2017 by nchfp. Who doesn’t enjoy freezing cold soup in the wintertime? …after it’s reheated, of course! Another option for soup lovers who don’t want to pull out the pressure canner this season is to freeze soups. Here you’ll find how-to tips and recommendations for freezing soups successfully. 24 hours before putting soup into your freezer, drop the freezer temperature to -10°F. Once soup has frozen, hold at 0°F. If you already have a freezer that’s set to the 0°F and there’s space open in it, then freezing is more likely to be an economical choice for food preservation. If you also have airtight containers to use instead of buying new ones, then the cost is even less. Which kinds of containers work best? 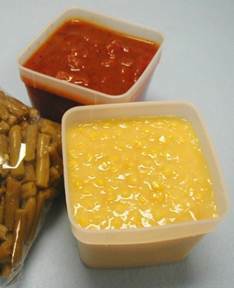 Rigid containers like plastic cartons or glass jars designed for canning and freezing. Keep in mind thought that many common household containers are not suitable because you’re looking for moisture- and vapor-resistant materials that produce an airtight seal (i.e. not your average yogurt or milk container). 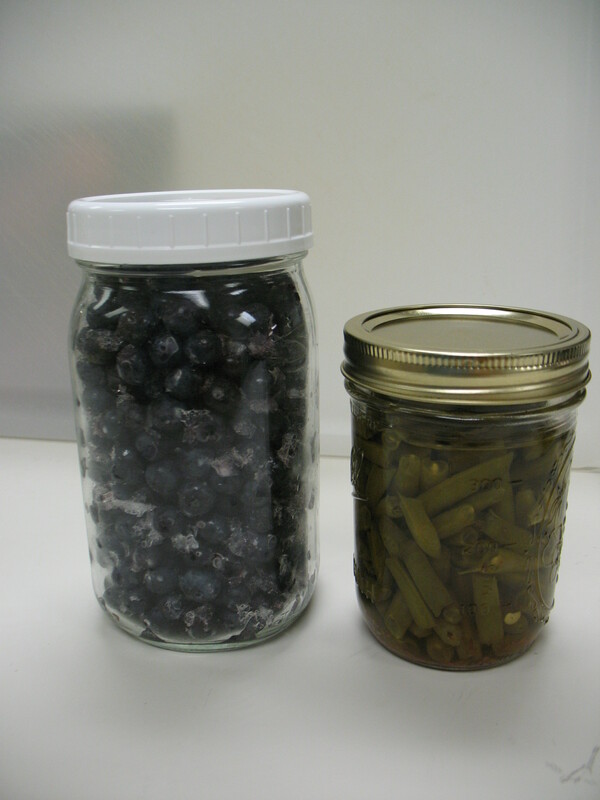 Hint: wide-mouth jars make it easier to remove the contents before complete thawing. One other option is to pour the soup into ice cube trays! An advantage of freezing soup is that you can portion individual servings (or servings for 2, 3, 4…), making it easy to reheat just one portion at a time in order to produce your desired quantity. No container should be so big that the soup will take a long time to become frozen; that leads to poor quality. Another benefit of freezing is that certain ingredients intensify in flavor after freezing, such as pepper, cloves, garlic, green pepper, celery seasonings and some herbs…but beware; they could also become bitter overtime. Other cautions: onion and paprika change flavor, curry develops and off-flavor and salt loses flavor. Simple solution: season lightly before freezing then add more seasonings after reheating. Just like some fruits and vegetables freeze better than others, some soup recipes will maintain a higher quality than others. It’s generally suggested that you leave out potatoes from soups that you plan to freeze. Another tip for best quality is to concentrate the product by using less liquid. 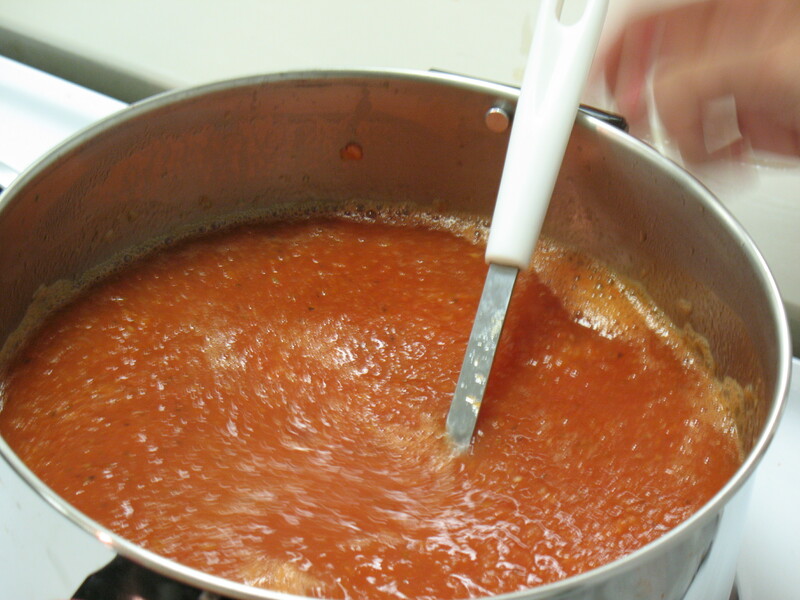 You can always add more liquid (broth, tomato juice, cream, water) when you reheat it. After preparing your delicious soup, it’s important to cool it quickly, so that large ice crystals don’t form- that would lead to a mushy consistency. To do this, put the pot of soup in a pan or sink of ice water. When cool, package and freeze immediately, placing containers against the surfaces of the freezer for the fastest freeze. For highest quality, enjoy frozen soup within 4-6 months. Do not put hot glass in the freezer (or in ice water); it may break. It’s also important to leave headspace so that the soup doesn’t break the container as liquids expand in the freezing process. The exact amount of headspace needed depends on the contents of your soup, but leave at least ½-inch for mostly solid soups and 1½-inches for mostly liquid soups. Unlike other frozen foods, it is recommended that you do not thaw your soup, but rather reheat it immediately after removal from the freezer. Heat it to a rolling boil, or at least 165°F. If it’s a cream soup, then heat over boiling water, double-boiler style. Soups with dairy may curdle and separate, so stir while reheating to keep smooth. Here’s another tip: add a waxy rice or corn flour as a thickener. Information in the entry comes from ‘Freezing Prepared Foods’ and So Easy to Preserve. This entry was posted in Freezing, Seasonal Food Tips and tagged cream soups, food portions, freezer containers, freezer temperature, headspace, leftovers, reheating tips, serving foods, Soups, storing food on February 1, 2013 by nchfp. Spread cheer, not the worst foodborne illness of the year! We love sharing foods this holiday season, but unfortunately, sometimes in the process we also share foodborne bacteria causing illness. Buffets and potlucks are particularly popular, but come along with certain risks. Make your hearty gatherings the most healthy (and happy!) by practicing these food safety tips from USDA. Wash hands, wash dishes, wash utensils, and clean kitchen surfaces. Wash well and wash often. Invite your guests to also wash their hands as you welcome them. Cook foods to safe temperatures. Measure their temperature internally with a food thermometer, before removing from heat source. Cook beef, pork, lamb and veal steaks, chops, and roasts to at least 145°F. All raw ground beef, pork, lamb, and veal needs to be cooked to no less than 160°F. Poultry must be cooked to a minimum of 165°F. You can cook any of these meats to higher temperatures, but not lower. To store cooked foods before serving, store them in the refrigerator or freezer in a shallow dish to encourage rapid, even cooling. Most foods, and especially all meats, poultry, seafood, casseroles, and soups must be reheated to at least 165°F before eating again; serve them in small portions and continually replace platters when empty. This way, foods stay a safe temperature for longer and growth time for bacteria is minimized. It is best to discard perishable foods after they sit out at room temperature for more than two hours. Otherwise, keep them below 40°F or above 140°F. Of course, it’s okay to keep out foods that are stored at room temperature for longer times, like uncut apples and crackers. Use chafing dishes, slow cookers, and warming trays to keep hot foods at 140°F or warmer. Nest dishes in bowls of ice to keep cold foods at 40°F or cooler. Otherwise, keep swapping in foods from the oven or refrigerator. Remember that harmful bacteria capable of causing illness usually cannot be seen, smelled, or tasted. Three common bacteria found partying at food festivities are Staphylococcus aureus, Clostridium perfringens, and Listeria monocytogenes. If anyone does feel ill, please remind them to contact a health professional and describe their symptoms. The information in this entry comes from the Holiday or Party Buffets Factsheet by the United States Department of Agriculture Food Safety and Inspection Service. This entry was posted in Food Safety, Seasonal Food Tips and tagged buffets, foodborne illness, holding temperature, Holidays, parties, potlucks, preventing foodborne illness, safe temperature of food, serving foods, storing food, washing hands on December 20, 2012 by nchfp.